The Taliban seized the northern Afghan city of Kunduz on 28th September after five months of fighting. Even though the city was recaptured by Afghan and NATO troops days later, Kunduz became the first provincial capital to fall under Taliban control since 2001 and it is still under threat. Despite the scale of the setback, the news has largely been drowned-out internationally by controversy surrounding ongoing Russian airstrikes in Syria. Answers regarding how we should interpret this anomalous incident have consequently received minimal attention, with little beyond a factual narrative being offered by most news outlets. The fall of Kunduz was worrying, no doubt, but my first reaction to the news was not one of concern, but of intense perplexity. Admittedly, like many Western analysts, I’d been remiss in my study of Afghanistan since Western troops began to depart the country a year or so ago and yet this development appeared to make no logical sense. Concentrating forces to assault Kunduz simply didn’t fit with the Taliban’s modus operandi as I understood it and didn’t appear to be a part of a coherent strategy. The Taliban’s heartland is on the opposite side of Afghanistan in the south and east of the country where most fighting in recent years has taken place. There is no historic evidence of Kunduz being a hive of insurgency, with only about 1% of deaths sustained by NATO over the last 14 years having taken place in the Province. Additionally, the logistics that would have been involved in the Taliban transporting the necessary men, weaponry and supplies to Kunduz must have been a nightmare. That this offensive has been sustained since April only adds to the scale of the achievement. Admittedly, Kunduz Province is an enclave of Pashtuns from whom the Taliban largely derive support, but they don’t compose a majority, despite being the largest ethnic group. Uzbeks, Tajiks, Hazaras and other ethnicities outnumber Pashtuns roughly two to one in Kunduz. Furthermore, one can see from looking at any map of the distribution of Afghanistan’s ethnicities that the Pashtuns of Kunduz are a blip in a sea of other groups. The Taliban have previously had support in Kunduz Province from their kinsmen, but the area hasn’t historically been able to produce the sort of resistance that we are currently witnessing. The Taliban also avoid intense campaigns in cities. When they have gone into Kabul or other major urban centers, it has generally been to launch a shock attack on a high profile target to display the Afghan state’s vulnerabilities. What we are currently witnessing is arguably the first sustained urban warfare in the Afghan War. The Taliban has always viewed cities with suspicion, perceiving them as hives of immorality, while Pashtuns don’t reside in cities in any great numbers. Of Afghanistan’s five largest cities, only Kandahar is dominated by the predominantly rural and conservative Pashtuns. As the fighting season began earlier this year, one prominent theory was that Kunduz was merely a distraction. As a Foreign Policy article argued to this effect, “the northern province is too far from the main Taliban sanctuaries and sources of supply in Pakistan, and it is strategically unsuitable as the point of return for a Taliban government.” Instead, it was claimed that besieging Kunduz was a ploy to lure Afghan troops away from the south and east of the country. For reasons already noted, this theory made a lot of sense. Trying to capture and hold Kunduz sounded like a fool’s endeavor. The problem with this theory has been the intensity and duration of the siege. The aforementioned Foreign Policy article was written five months ago. As the year has worn-on there has only been an increasing intensity to the assault, while the Pashtun heartland has remained relatively quiet. In addition, the amount of resources thrown into this assault is wholly disproportionate for a distraction. From my background of researching how the Taliban gained and maintained power before 2001, I originally believed this was also a display of force to build domestic support. Possibly the most famous historic example of this was when Mullah Omar draped himself in the Cloak of the Prophet and was declared Amir al-Muminin before the Talibans successful 1996 assault on Kabul. With President Ghanis unity government reaching its first year in power and the Taliban appointing a new leader in July, both reputations are far from fully formed and are highly vulnerable. The capture of Kunduz has clearly struck a devastating blow to the new government – the worst military setback in over a decade – while aiding Mullah Mansour’s tenuous claims to legitimacy. However, this sustained assault on Kunduz is over the top for a display of force. The Taliban may believe in grand gestures, but they are also practical. The signs point to something more. The most worrying explanation for this supposed irrationality is that the Taliban are diverging and diversifying. Kunduz definitely wasn’t a hub of Taliban activity during the ISAF’s occupation, but this is not the same as saying there was no support. Pashtuns in Kunduz Province’s countryside were growing disillusioned with Kabul for years, desiring for a return to Taliban rule. With the departure of German troops in 2013, the Taliban increasingly made inroads as the security situation deteriorated – so much so that the Taliban were banging on the gates of Kunduz in August 2014, with Afghan forces making a last-ditch effort to save the city. What is concerning is how the Taliban have broadened their appeal. Through moderating their Pashto-nationalistic goals, disenfranchised Afghans of all spectrums have slowly been turning to the Taliban, having sufficiently tired of the corruption, brutality and neglect of Kabul’s representatives; even a small number of Shia Hazaras are now reputably within the Taliban’s ranks. Such appeal is a trend increasingly seen throughout the country. The main catalyst in the north, however, has been the substantial influx of hardened foreign militants into the region over the last year. When Pakistani troops launched their long-overdue push into the militant sanctuary of North Waziristan in June 2014, militant Pakistanis, Afghans, Chechens, Uzbeks, Tajiks and other nationalities were pushed into Afghanistan. While not all Taliban-affiliated, seasoned militants from groups including the Islamic Jihad Union (a splinter group from the Islamic Movement of Uzbekistan which has pledged allegiance to ISIS), East Turkistan Islamic Movement and Jamaat Ansarullah have aided the Taliban in their northern offensive. Arguably, this assault is so anomalous precisely because the Taliban is only one of many factions involved. And it’s not just Kunduz which is in the midst of a Taliban assault. 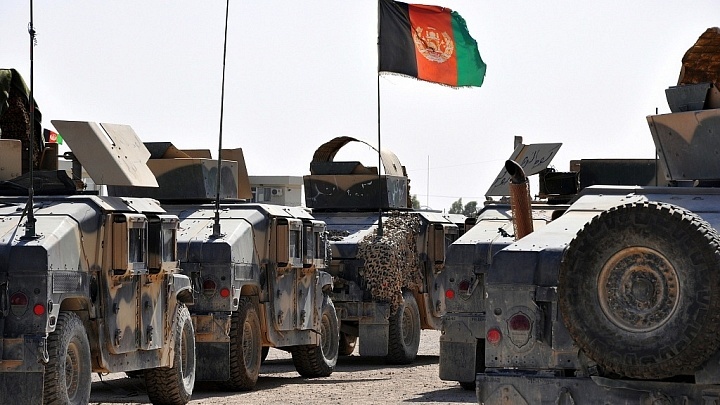 All over the north, from Sar-i Pol to Badakhshan, Taliban offensives – aided by foreign militants – have been causing havoc for Afghan security forces. For foreign jihadists, these areas will provide fertile ground for training camps, bases and recruitment, taking them geographically closer to their primary targets. For the Taliban, gains in the north open up lucrative possibilities. As well as being a constant nuisance to Kabul through disrupting the north’s highway network, Afghanistans porous border with Tajikistan is a haven for drug smugglers wishing to send their merchandise to Europe through Central Asia. Capturing Kunduz, even for a few days, was a huge success for the Taliban. However, through unleashing these foreign jihadists on northern Afghanistan, it begs the question of whether the Taliban can control them or if they’ve opened Pandora’s Box. Undeniably, these organizations have their own goals and they are increasingly gaining a reputation as ultra-violent, alienating the local population. This is at a time when the Taliban are attempting to be more inclusive to win the support of those they have historically alienated. The two obviously don’t go together in the long-term, despite short-term benefits on the battlefield. Simultaneously, the Taliban itself has been fracturing. Negotiations with Kabul had already created divisions within the movement, with some hardliners declaring their loyalty to ISIS (which is slowly building a base of support in Afghanistan) in protest. When it emerged that the Taliban leadership had been covering up the death of Mullah Omar, this led to a further exodus, most notably by the IMU. 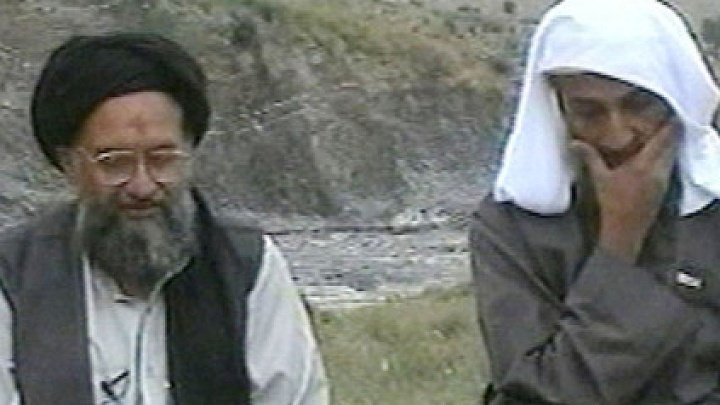 The credentials of Mullah Omar’s replacement, Mullah Mansour, have also been called into question, as well as his role in the deception over Mullah Omar’s death. Undoubtedly the capture of Kunduz will quell some of this dissent, but it doesn’t deal with underlying problems. The government in Kabul could take advantage of these divisions to launch a counteroffensive before Afghanistan’s fighting season winds-down, but it is severely hampered. President Ghani may be a technocrat, but to most Afghans it is becoming clear that he is no military strategist. In addition, the President has consistently failed to appoint a Defense Minister – a problem which has persisted for the best part of a year. At the same time, the Afghan Army is proving itself unable to resist the Taliban through suffering record-breaking casualties this year, allowing foreign militants to slink into northern Afghanistan en masse and then retreating despite clear numerical advantage. There is a great deal of uncertainty regarding how this influx of foreign militants, cracks in the Taliban and government ineptitude will play out, but it is clear that Afghanistan is not going to fade into obscurity. Claims that the country in terms of its political, economic and security performance is slowly improving are increasingly ridiculous; time will tell how this will develop, but the head of the international community cannot remain in the sand because the ISAF has finished its mission. The war continues whether they like it or not.